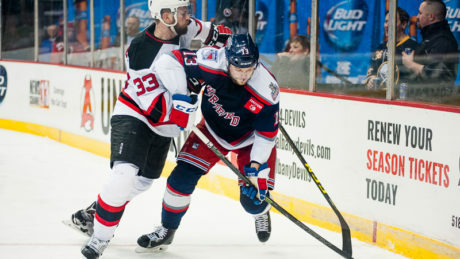 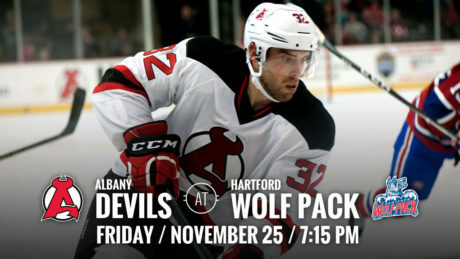 The Devils’ late push payed off with a 3-1 win over the Hartford Wolf Pack. 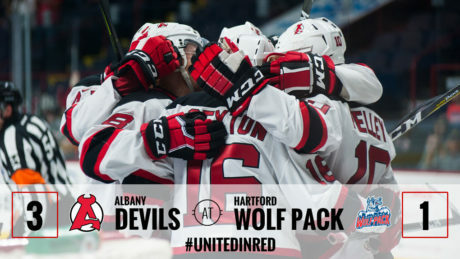 Trailing 3-1 after 40 minutes, the Devils scored twice during the final 10:40 and then won in overtime to defeat the Wolf Pack, 4-3, Friday at XL Center. 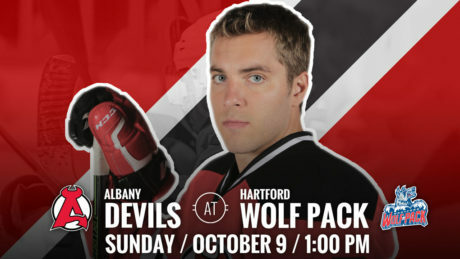 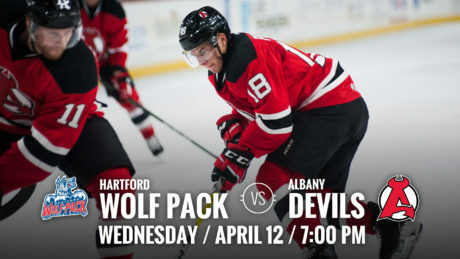 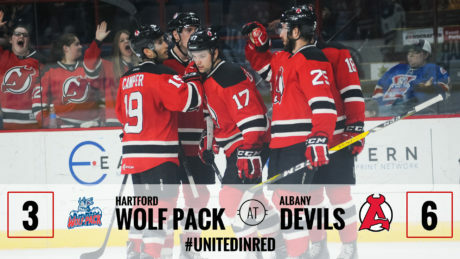 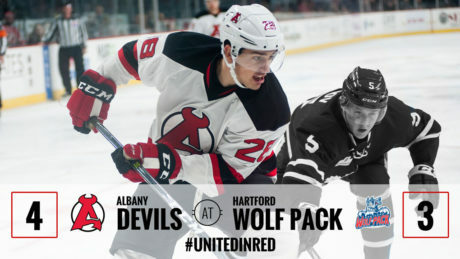 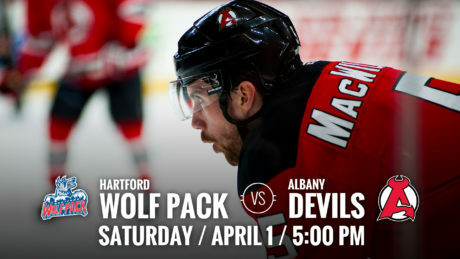 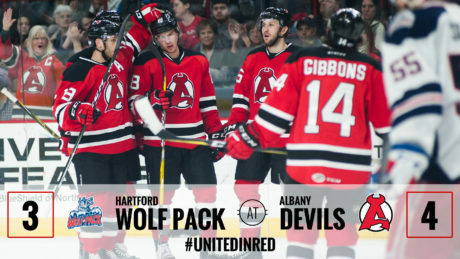 The Albany Devils will face the Hartford Wolf Pack in a preseason game at 1 pm on Sunday, Oct. 9 at Champions Skating Center in Cromwell, CT.
With a 3-0 victory Tuesday against the Wolf Pack, the Devils have secured a berth in the 2016 Calder Cup Playoffs. 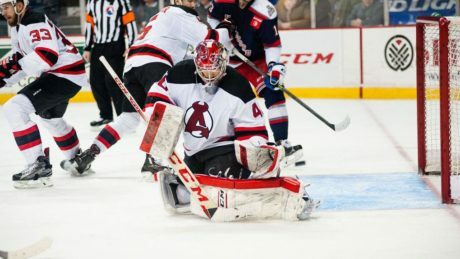 Max Novak had a goal and an assist and Yann Danis made 24 saves for his seventh shutout of the season. 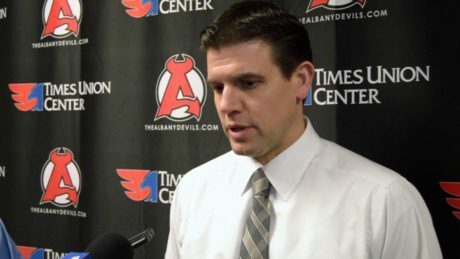 Head Coach Rick Kowalsky addresses the media following a 3-0 win against Hartford.